A witty, city kitty goes on a wild journey in this lively picture book illustrated with a retro vibe—and discovers that there’s no place like home! 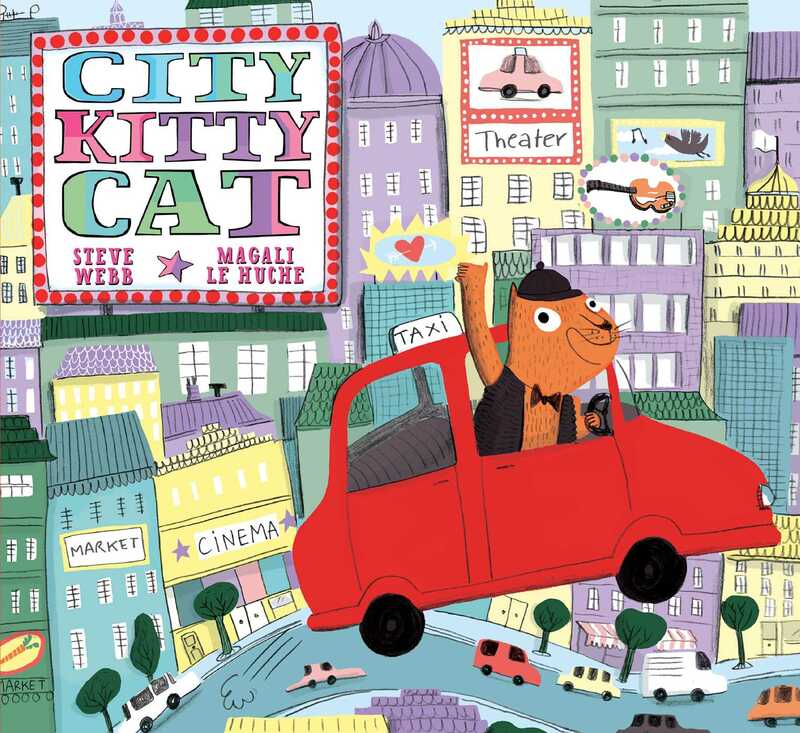 City Kitty Cat loves driving his cab through the city, visiting museums and eating at fancy restaurants. But then he makes some new friends who convince him to join them in their wild home. Can a city kitty call the jungle home sweet home? Steve Webb lives in the Peak District in England with his three children. He is the author of several picture books, including Rocket Racers and Bigger Digger.